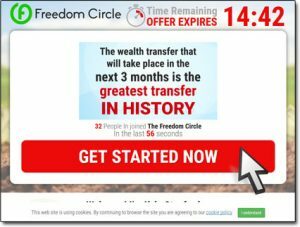 Freedom Circle Review – Scam Software By Kyle Stanford Will Just Take Your Money! Kyle essentially states on the website that you can just sign up as a member of the Freedom Circle, get access to the software & begin making money right away… But is it really that easy & does it actually work? Or is the Freedom Circle a scam that in reality is just set out to part you with your cash? What Exactly Is The Freedom Circle Software? The Freedom Circle software claims to have been designed to help people achieve both time & freedom as it allegedly automatically makes profitable trades on the members behalf with 99.8% accuracy, allowing them to earn money whilst only having to work 30 minutes per day. But I can tell you right from the off that that’s a lie, the truth is that there’ll only be one person making money from the Freedom Circle software & that’s Kyle himself – and he’ll be doing it at your expense. You see in reality the whole thing is actually nothing other than a typical get-rich-quick scam and the reason I can say that so confidently right from the off is because I’ve seen (and exposed) this exact same scam numerous times before when it was launched under various different names. The Bitcoin Focus Group, Bitcoin Evolution & 30K In 30 Days are all previous versions of this scam… However despite it being the exact same scam the statistics & creators name change as well as the websites name too… That’s because they’re all made up. For example right now the Freedom Circle software claims to have been created by Kyle Stanford & claims to have 99.8% accuracy, yet back when it was named 30K In 30 Days visitors were told it had been created by a guy named Joey Altair & that it had 99.% accuracy. They just keep changing the name & tweaking the design/content in an attempt to escape all of the negative reviews that expose it as a scam so that they can continue conning people out of their hard earned cash. How Does The Freedom Circle Software Work? Okay so in short just in case you happened to have skipped straight down to this part of the review without reading the section above, the Freedom Circle software does NOT work as promised (sorry to burst the bubble). The truth is it’s nothing but a scam – and it’s what’s known as a binary options scam. So how does the Freedom Circle scam you? Well, basically the whole thing is just a ploy that’s been put together to trick you into signing up & depositing some funds with a binary options broker… And the reason the creator of the Freedom Circle software wants to get you to do this is because he’s affiliated with the broker, which means they’ll pay him a commission for getting you to sign up. The person behind the Freedom Circle software isn’t really interested in helping you to make money at all – he’s just interested in earning himself some commissions at the expense of others by tricking them into signing up to some “dodgy” binary options brokers like IQ Option. And that’s how it should work, but like I mentioned above the brokers that are recommended through the Freedom Circle system are dodgy brokers – they’re essentially scammers too, and they have many hidden clauses that make withdrawals almost impossible. For example many require you to trade with a certain amount before you can withdraw (knowing that you’ll lose it, this is just a trick to get you to deposit more) or many offer bonuses which if you take, mean you can’t make withdrawals until the bonus is fully used (again another trick to get you to deposit more & lose it). 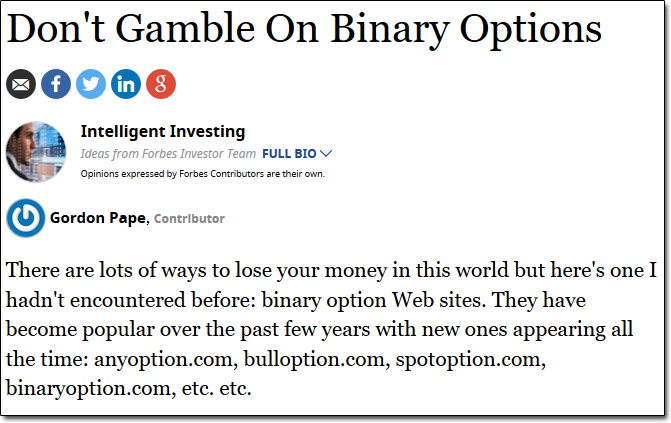 So if ever you come across something that mentions it is to do with binary options then I advise you to just steer clear of it because more than likely it is just going to be set out to scam you. As I mentioned at the start of this Freedom Circle review I’ve reviewed literally hundreds of these binary options scams over the years, but now not only are people becoming wise to them but many governments/regulatory bodies are cracking down on them heavily. 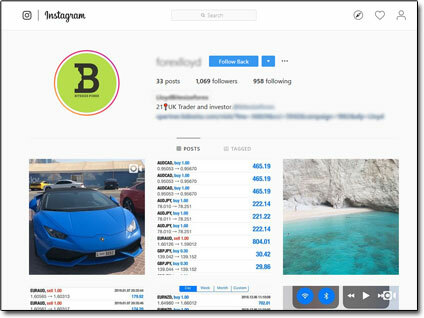 However when it comes to scammers this very rarely stops them, they just evolve their scams & sadly it now seems that they have taken their trading scams to Instagram as recently I also wrote a post on here exposing how youngsters are suckering people into Forex trading scams. Sadly it seems that because this “new wave” of the scam is targeting much younger people (under the age of 25) a lot more people are getting caught out by it because they have less financial experience. They see the lifestyles being boasted by these scammers on Instagram & “try it out”, depositing $250+ to the brokers recommended by these so-called “professional Forex traders” only to then later realize that in the same way the Freedom Circle scam works, they too have been scammed. So not only should you watch out for binary options scams but you should also watch out for these so-called Forex traders on Instagram too. I mean I don’t want to tar them all with the same brush as there are indeed some people who trade legitimately, but if they’re putting pressure on you to sign up to a broker & deposit money “via their link” or “with their code” then you can often more than likely assume it’s a scam for them to earn at your expense. In short there is NO way to make lots of money quickly online with ease & anything that promises it is a get-rich-quick scam. There are indeed many legitimate ways to make good money online but to succeed with them you must be prepared to put in time/work. It’s like anything in life, if you want it you’ve go to work for it – just like if you want a great body you’ve got to go to the gym or diet. You can’t just drink a magic drink and look great overnight – the same applies in business. 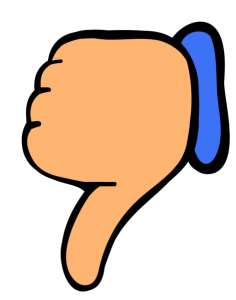 My Verdict – Is The Freedom Circle a Scam? There’s absolutely no doubt about it, the answer is yes – the Freedom Circle software IS indeed a scam. There is no “social movement” as Kyle Stanford claims & there is no profit-on-demand software either… Kyle himself is also a phony too! The truth is that like I’ve mentioned throughout this review the whole thing hasn’t really been setup to help you make money at all – it’s just been built up on lies to trick you into depositing with a scam binary options broker that the creator of the whole thing is affiliated with so that he can earn some money at your expense. You’re led to believe that it’ll be risk-free & that you can just try it out then get your money back if it doesn’t turn out to work as promised however the reality is much different. The brokers associated with it will make sure that any money you deposit will be gone for good, so for that reason I recommend steering well clear of the Freedom Circle scam & checking out a legitimate way to make money here instead. One of my all-time favourite ways for making good money online (and the same way I personally make money this very day) is something called affiliate marketing. It’s one of the best, easiest & most powerful methods in my opinion & you can learn more or get started with it for free over at Wealthy Affiliate. IQ Option Cut From Aston Martin – Sign of The End of This Binary Options Broker?